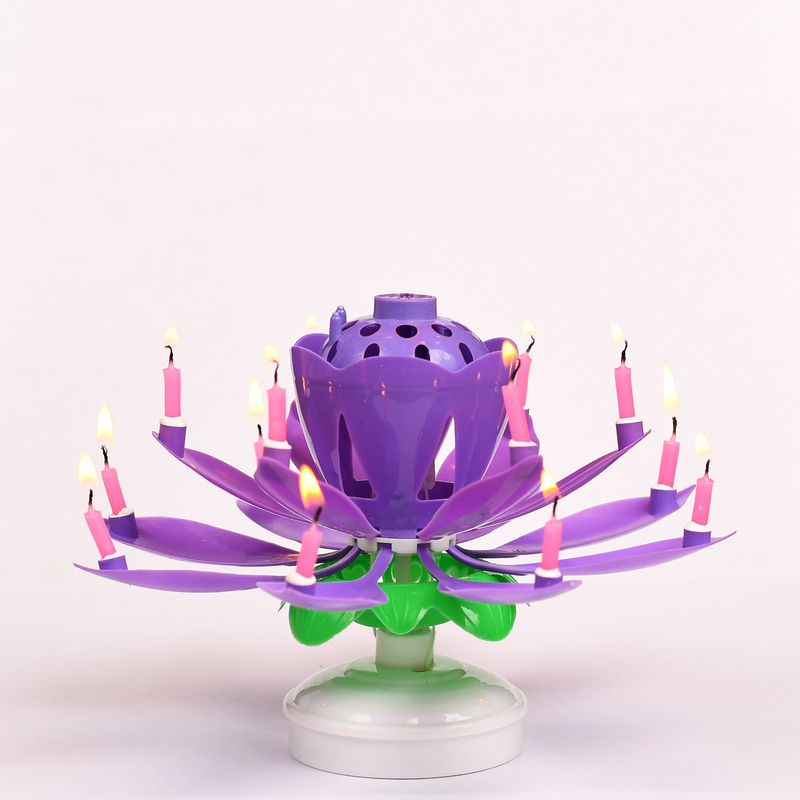 These purple flower musical birthday candles are an amazing product that will make everyone at the party smile. The black musical birthday candles start off looking like closed flower buds. Once the candle is lit, the large center flame lights the 14 small birthday candles which are attached to each purple flower petal. 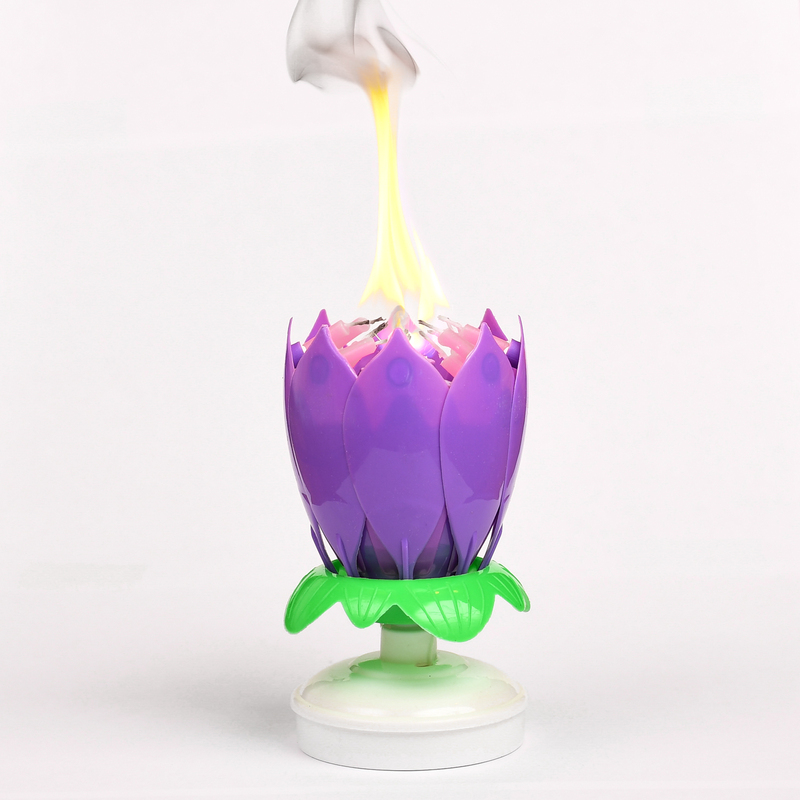 Then the musical flower candle opens up and starts to slowly spin. 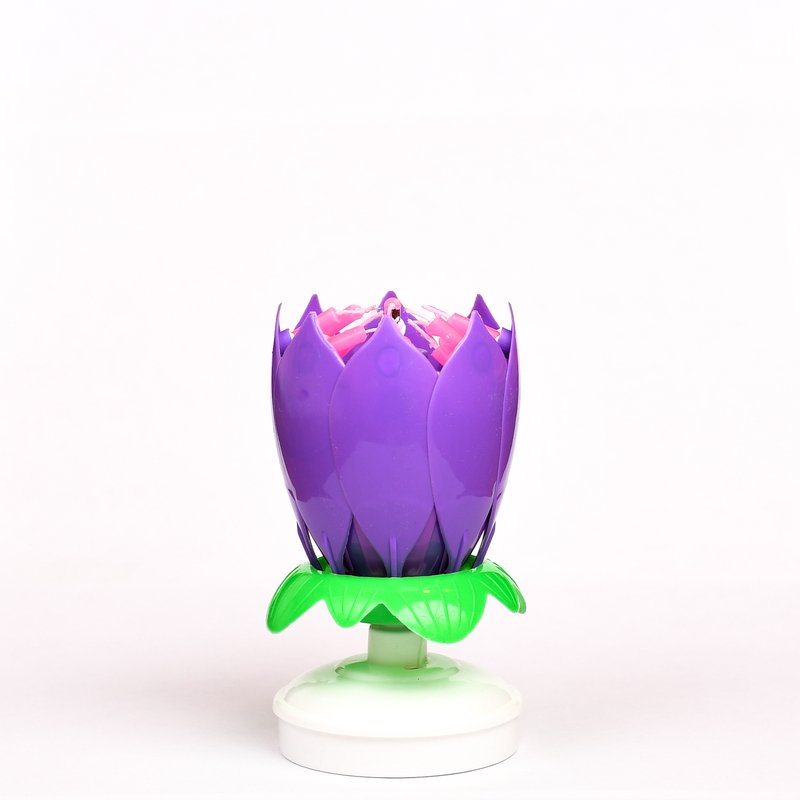 While the lotus flower candle is turning it also plays the Happy Birthday song. When the flower candle is open it is approximately 7 inch diameter x 4.5 inches tall. Each candle has a wide plastic foot so it will easily sit on top of a cake. Because of the way these musical flower birthday candles are designed to work, they can only be used one time. These cool candles have been approved by the FDA for use with food.